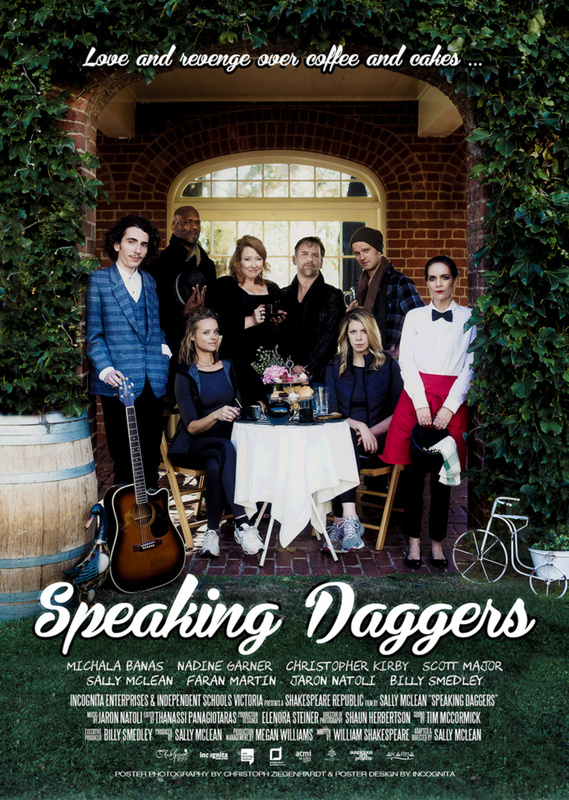 New project for Shakespeare Republic: “Speaking Daggers” the #Shakespeare film! We are so delighted to announce that since releasing the final episode of Shakespeare Republic: #LoveTheBard (Season Two), we have filmed and have nearly completed post-production on our first commissioned film project for the Republic universe: Speaking Daggers! Starring Michala Banas, Nadine Garner, Christopher Kirby, Sally McLean, Scott Major, Faran Martin, Jaron Natoli and Billy Smedley, Speaking Daggers tells the tale of eight Shakespeare characters from five different plays who meet in the one setting and has been produced by Incognita Enterprises in conjunction with Independent Schools Victoria. And there is more news to come on Shakespeare Republic (Season Two) in the coming days – May is looking to be a busy month for the Republic! Posted On 26/04/2017 in Project Updates, Screenings & Festivals with 0 Comments.Tagged: film, premiere, screening, Speaking Daggers.